We are about to trial a series of three gigs in the NEW studio space at the Bristol Old Vic in King St. The BOV has a history of putting on jazz but not for many years, since the days of the jazz resurgence of the late 80's. All gigs are confirmed and if successful, the collaboration between Jazzata and BOV will continue, using the studio and trying gigs in the NEW Foyer area as well as possible larger gigs in the main theatre space. We need to get 100 per gig to make it work for all involved (BOV, the artists and me!) so hopefully you can support the gigs and make this a new place for jazz and acoustic music in Bristol. There is a discount for multiple gigs as well (10% for two gigs, 15% for all three). Hope you can make it along. A Jazz club is run by the Muskrats Jazz Band on the first Wednesday of the month at Clarence House, High Street in Portishead BS20 6Py. They are the resident band whose members are local musicians and they play mostly traditional jazz, with a touch of more recent numbers. "We will invite other bands to perform, and to have some Jam sessions." 8.30pm . Admission will be £4 at the door. Please turn up and be entertained. There is a bar and a large car park at Clarence house. JOHN'S DOUBLE-DISC DVD "The Great jazz Pianists"
John's feature concert, where he played tunes all the greatest jazz pianists from a Scott Joplin rag right through to modern jazz by Bill Evans. card number and your postal address for delivery. 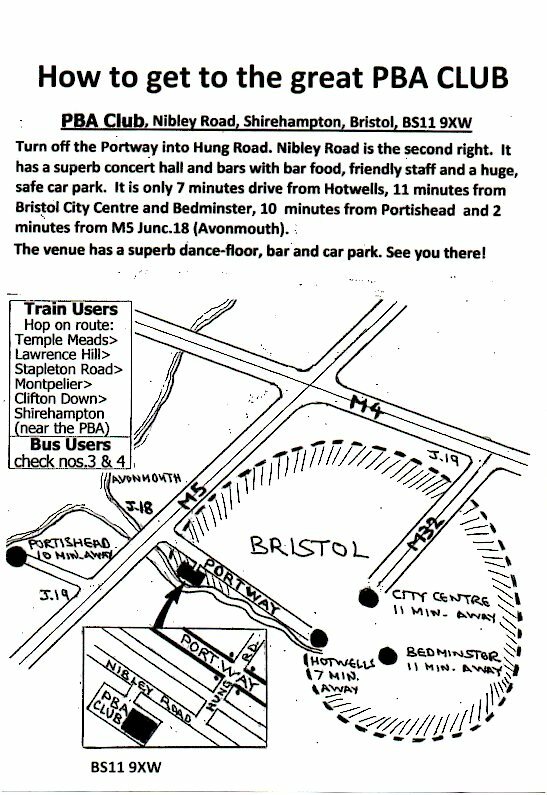 Join THE BRISTOL JAZZ SOCIETY today and get our quarterly Newsletter which has lots of interesting articles about local jazz. From Satchmo to Jelly Roll, from Oliver to Ory and from our own Barber to Bilk, City Steam offer an eclectic mix of New Orleans Jazz and Blues. Their repertoire also reflects their various musical tastes so some later jazz numbers plus some lively Latin beat are also programmed. additional pages & pictures from Dave's career in Jazz - with narrative by his brother Vernon & colleague Dave Collett. Permission for use very kindly granted by John Cook, The Trustees of Beryl Cook's estate and The Dave Collett Trio. "THE BALLAD OF 1976"and "SPEED THE PLOUGH BOOGIE"
Would you like your band to be featured on this website? 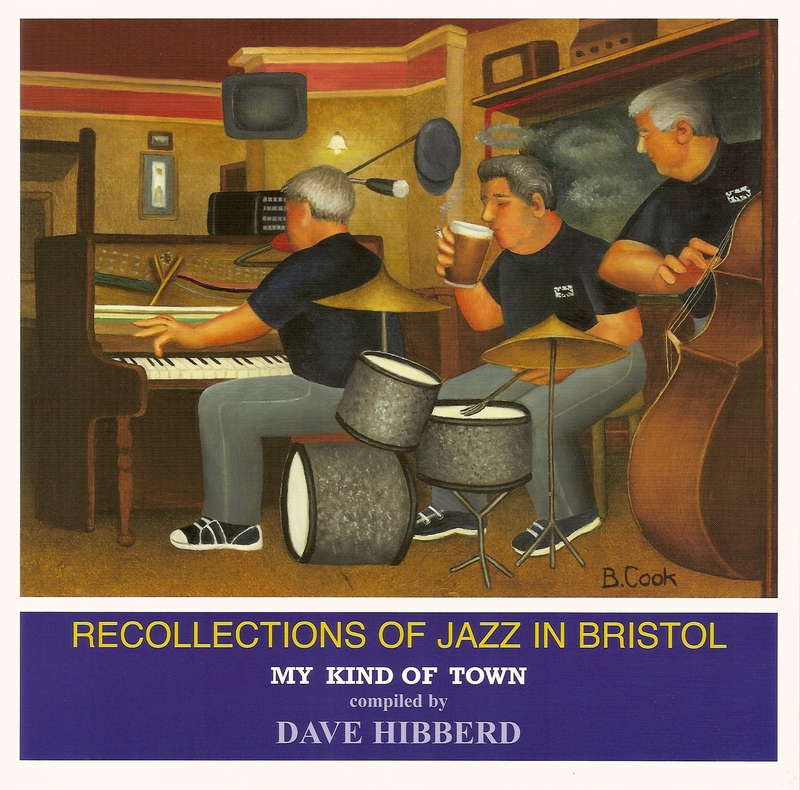 Have you at least one Bristol Jazz Society Member? GOOD VIBES "Live at Warmley"
AVON CITIES CD - now available ! 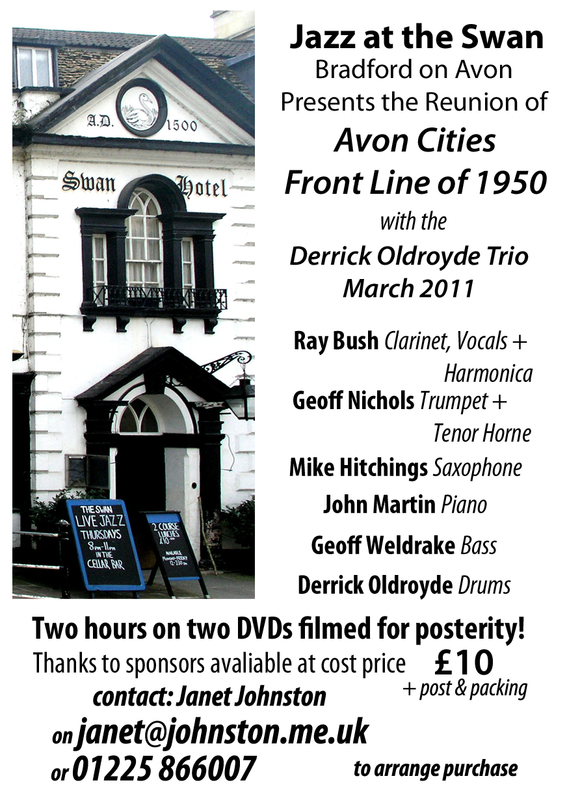 Following the successful 60th Anniversary concert by the Avon Cities at Bedminster Down Ex-Services Club, a limited edition CD '60 Years On', recorded live on the night, is now on sale. "Joe Oliver's Music: completing the set"
Now available, the remaining sixteen tunes featured in the Creole Band's 1923 recordings, played by Dennis Armstrong's Oliver Band. This CD also includes three additional tracks - a piano feature, a clarinet feature, and a vocal from Dennis! Also available: The Blue Five Plus One, Live at the Old Duke. £6.